Ok, who got the button maker? 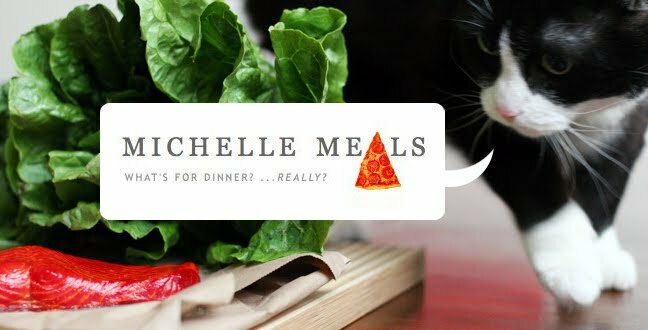 And is sticking buttons with pictures of pizza all over my stuff? Hmmm? 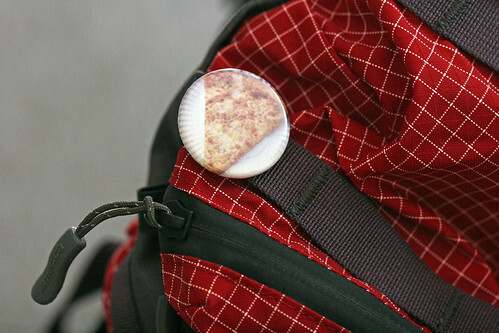 I was willing to pass it off as a weird random event when I noticed this pizza button on my backpack before leaving on tour. 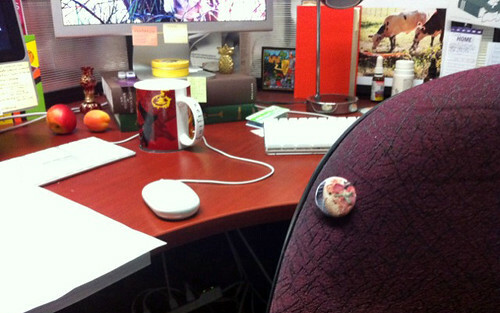 But then I returned to work to find THIS pizza button on my chair! 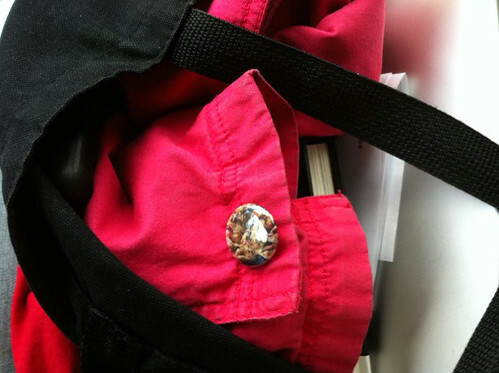 Then yesterday in the car I glanced down at my jacket in my bag and noticed this! REVEAL YOURSELF, MYSTERY PIZZA BUTTON PERSON! 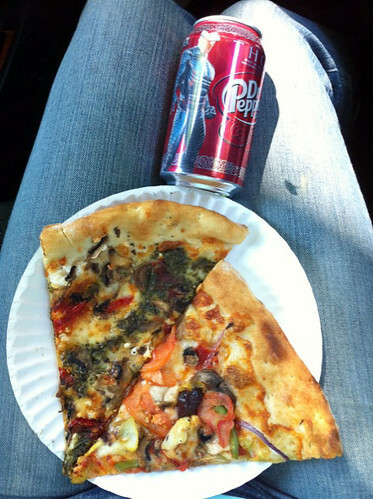 And by the way, yesterday I ate pizza.